Despite the anti-Islamic State campaign being waged in both Iraq and Syria, the terror group can still attack coalition forces and their local partners in both countries, Col. Sean Ryan, spokesman for the U.S.-led coalition, said. Earlier this week, a bombing at a market near the Iraqi city of Mosul killed at least six people, including two soldiers. Iraqi officials accused IS of carrying out the deadly attack. Mosul was an IS stronghold until July 2017, when Iraqi forces, with the help of the U.S.-led coalition, recaptured it. The northern Iraqi city has occasionally been targeted by IS suicide attacks. 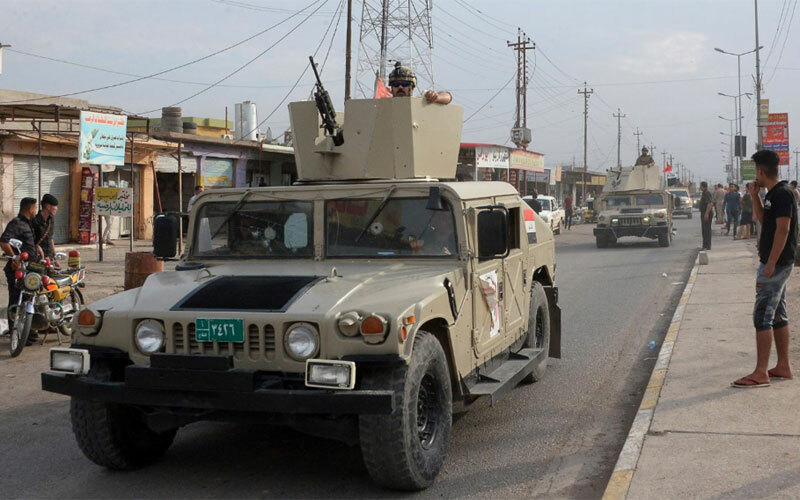 IS also “poses a constant threat in Diyala, Salah-a-Din, Kirkuk, Nineveh and Anbar, where it uses the desert to cover its movements and carries out hit-and-run attacks,” Seth Frantzman, executive director of the Middle East Center for Reporting and Analysis (MECRA), told VOA. Ryan said IS currently controls only 1 percent of the Syrian territory it once held when it declared its so-called caliphate in 2014. The U.S.-backed, Kurdish-led Syrian Democratic Forces (SDF) have been battling IS militants in the Syrian province of Deir el-Zour. Fierce battles between the two sides are currently concentrated around the towns of Hajin and Sousa, the last remaining pockets under IS control in the eastern province. Kino Gabriel, an SDF spokesperson, told VOA that with the U.S.-led coalition‌s help, the SDF is in the last stages of its operation against IS. “We have liberated more villages and towns of the middle Euphrates River Valley, destroying IS strongholds and command centers,” Gabriel added. But despite these battlefield setbacks, IS is still able to stage attacks, officials said. “It‌s less about territory and more about capabilities,” coalition spokesman Ryan said. “Every day, besides killing ISIS fighters, we‌re also degrading their ammunition supply, their logistical supplies and, of course, their financing, which is very important as well,” he added. And in Syria, “it is a declining military force full of the last remnants of hardened fighters. It will be defeated in conventional battle, but as a terror group will exist and may return in another form. It continues to inspire attacks globally, from Sinai [in Egypt] to the Philippines, clearly showing that it has not been defeated." Gabriel, of the SDF, said that despite freeing most areas from IS, his group continues to deal with sleeper cells that have the capability to wage surprise attacks against anti-IS forces and civilians. Analysts believe that Syria‌s seven-year civil war, as well as political instability in neighboring Iraq, will continue to facilitate the resurgence of IS in different forms. IS “is a group that feeds off political and social problems in these two countries,” said Sadradeen Kinno, a Syrian researcher who closely monitors Islamist groups in the region. “So long as we have such problems in Syria and Iraq, IS and its ideology will remain relevant there, regardless of their military defeats,” Kinno said. Syrian regime troops, backed by Russia, have also been engaged in a separate campaign against IS militants in parts of Deir el-Zour and the Syrian Desert, adding complexity to military operations. Islamic State “can use the desert area between the U.S.-led coalition/SDF and the Syrian regime [and] will exploit these ungoverned spaces in Syria,” Frantzman said. “In Iraq, it will prey on the weakness and instability in Sunni areas and the inattention the government is giving areas in Diyala and Anbar, Sinjar and Hawija,” he added.